Releasing a new book is always a thrill. You're excited to show off your work to the world and also nervous about it. Will readers like it? Or God forbid, will they hate it? Bombay Heights is my first new release as an Indie author. And that makes it even more special. The book is my tribute to a city that will always hold a special place for me. Bombay. The city I grew up in. Though the story does not have any autobiographical elements to it, the City of Dreams plays a very important part in the lives of my characters - Sanjana, the small town girl who is chasing her dreams and running away from some personal issues. Ashwin, the big city dude who's flirtatious and fun but he is not all eye-candy either. Then there is Mrs. Jeroobai Wadia, who is a bridge between the old Bombay and the modern Mumbai. And last but not the least, there's a tiny fur ball named Dumbass and he too has his own little backstory! But more about the characters in a later post. Here's a look at the cover picture and the blurb. Small town girl Sanjana Kale wants a fresh start in Mumbai. A challenging job and some much needed distance from her ludicrously over protective family could get her life under control. To make matters worse, her ex treis to manipulate her loved ones to work his way back into her life. 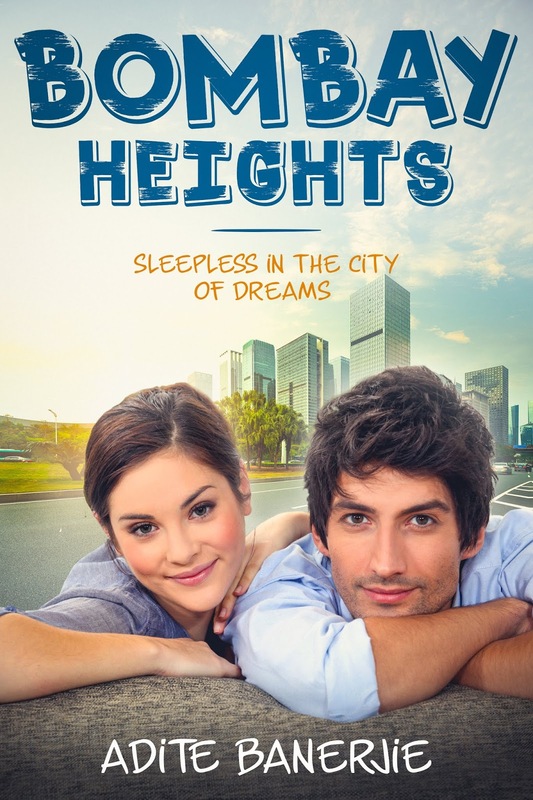 Hysterical siblings, a cantankerous client, an ex who won't take no for an answer, and a blow hot blow cold neighbour...Sanjana is sleepless in the City of Dreams! Can she do what Ashwin dares her to--create a few ripples even if it upsets her family? If you love romantic comedies with a lot of banter between the lead pair and humorous situations, you will enjoy Bombay Heights. For now, I leave you with a classic song that is so quintessentially "Bombay"! This is a great website, Adite, but I really wanted a 'like' button and couldn't find one. Thanks for dropping by, Carole. It just occurred to me there is no like button! LOL.